Anton Enus is an award winning journalist with more than 30 years of broadcasting experience. He began his career at the South African national broadcaster SABC, as a radio news reporter, and then moved on to become a parliamentary reporter, current affairs producer, TV news reporter and TV presenter, often anchoring the morning news show Good Morning South Africa. In Australia, Anton is perhaps best known for his work on SBS World News Bulletin, where he has been presenting the news since 1999. 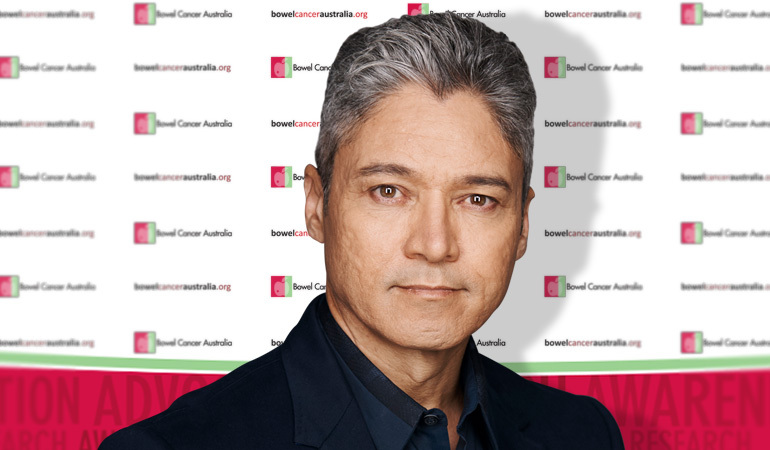 Anton first lent his support to Bowel Cancer Australia in 2014, during the charity’s February awareness campaign encouraging Australians to be proactive about their health. In an effort to maintain his own health, Anton has never smoked, limits his alcohol intake, eats a vegetarian diet and engages in regular exercise. So he was very surprised when he received a positive test result after participating in the National Bowel Cancer Screening program. Following what he thought would be a routine colonoscopy he was told they had discovered a large tumour. “The one who ran marathons and whose greatest joy was chasing a ball around a tennis court for hours, who did yoga and had no family history of bowel cancer,” Anton wrote in a candid article published nationally about his bowel cancer experience. Anton believes his was the “luck of the draw” and credits the National Bowel Cancer Screening Program for possibly saving his life.  “Around two thirds of eligible people choose not to complete the simple test in the bowel cancer screening program. Two out of three! While there are things everyone can do to reduce their risk of developing the disease, such as making healthy diet and lifestyle choices, as Anton’s story illustrates, bowel cancer can affect anyone. Bowel Cancer Australia chief executive Julien Wiggins said that Anton’s candour and credibility will inspire others to take action. The advantage of early detection is that 90% of cases can be treated successfully. Currently, only 40% of cases are caught at a time when they are easily treated. For those who miss that window, 5-year mortality rates are improving, but they are still lower than other common cancer survival rates such as breast and prostate. To read Anton’s story, visit SBS News.